This chapter discusses how Canadian Studies in Japan has developed, looking at the history of the Japanese Association for Canadian Studies (JACS), established in 1977. 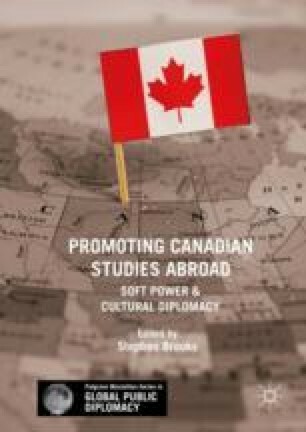 It also includes a comparison of the development of Canadian Studies with that of American Studies in Japan in order to identify and explain the unique character of Canadian Studies in Japan. The development of Canadian Studies in Japan during the 1970s was a direct result of the concerns that many scholars had about the Americanization of Canada. The early conceptualization of Canadian Studies was part of Canada’s cultural diplomacy. Interestingly, Canadian Studies, whose original goal was to show that “Canada is different from the United States,” has developed following the path taken by American Studies. Nevertheless, Canadian Studies and American Studies in Japan have shown conspicuous differences at the same time as they have much in common. Comparing the developments of the two area studies in Japan gives us an insight into the unique character of Canadian Studies as well as the larger meaning of Canadian Studies in Japan.